Do you sell directly to consumers? 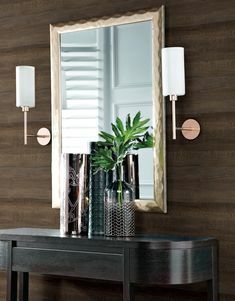 We are importers and wholesalers that supply designer quality wallcoverings, borders, murals and removable/reusable stickers to Australian retailers, designers and decorators that sell to the Australian consumer market. We do not sell directly ourselves to consumers. If you are looking at wallcoverings generally then check out our online website The Wallpaper People. If you have located a particular product make sure you take as much information as you can to your retailer. There are thousands of wallcovering options from around the world so without additional details it is difficult for retailers to find or match your selection. Do you have removable self adhesive borders & stickers? We have a large range of removable/reusable stickers, borders and murals for both kids and grown up decorating. You can view these at our Removables & Wallpaper online website The Wallpaper People. Numerous retailers around Australia stock our Removables Range or they can quickly order in stock for your decorating needs. If you are not near a town with a retailer some of our retailers have products viewing online. Prices and stock levels vary by retailer. 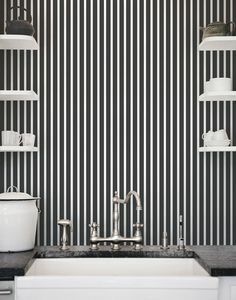 Where can I view your wallcovering collections? Check out our Wallpaper online website The Wallpaper People or visit our retailers around Australia. Our retailers have a selection of pattern books so you can see actual samples of wallcoverings. We do not usually have catalogues. Our retailers have border and wallpaper pattern books with actual samples of the products rather than picture that are in catalogues. You can also view many products at our Wallpaper online website The Wallpaper People and then contact your retailer to organise purchase. How do I hang wallpapers or borders? We have instructions on hanging prepasted, unpasted and self adhesive products can be found in our DIY section. Also our manufacturers have more instructions online. Most products are supplied with the manufacturers instructions. You can order our products from a variety of retailers within Australia. Some retailers have online stores listed here. Most of peel and stick ranges are held in stock, delivery is to the retailer take a few days depending on location, usually less that a week. For wallpapers delivery depends on manufacturer availability and we aim to have most of these special orders to retailers in 3 weeks or less. 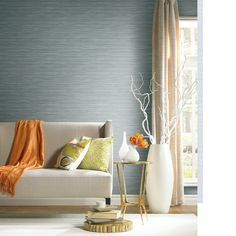 High end designer wallcoverings can vary from standard times to longer for hand crafted designs. I have seen a picture at your site and how do I find out about it? The site you found the information. Title at the top of the page. Printed copy of the page. Collection name, e.g., Cherry Blossom. and don’t forget to say it is from Rosemont. Retail prices are set by the retailer and not by us. Prices may vary because of varying product and freight costs. Specialist decorating service can also influence the price. Do you have a particular style of border, mural or wallpaper? If you are looking for a particular style, pattern or colour many retailers have large selections to pick from. You can also browse at our online website The Wallpaper People to help you with your selection. Take the item code to your retailer for pricing and availability information. Tell them to contact Rosemont. To help your retailer out check out these details on ordering from retailers. Yes we have murals. check out our online website The Wallpaper People for murals. Delivery depends on the manufacturer availability and is usually at the retailers in about 3 week. Some murals are printed on order so can take a little longer. If you find something you are interested in take the item code and details to your retailer for pricing and availability information. Tell them to contact Rosemont.